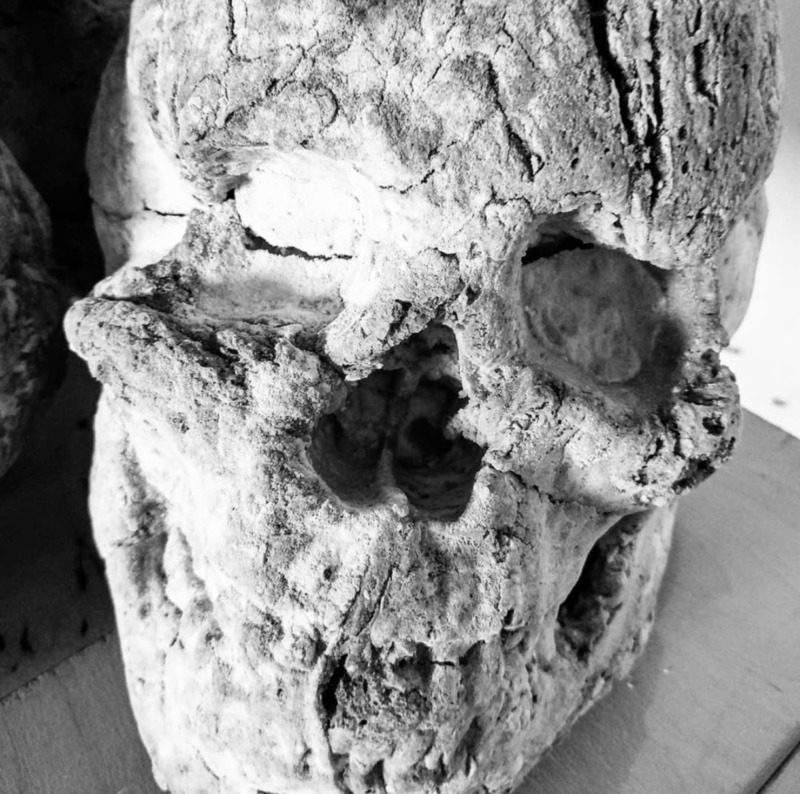 The work consists of 5 skulls, each conserved in a plexiglass display case. Over the course of the exhibition the gracefully mould. 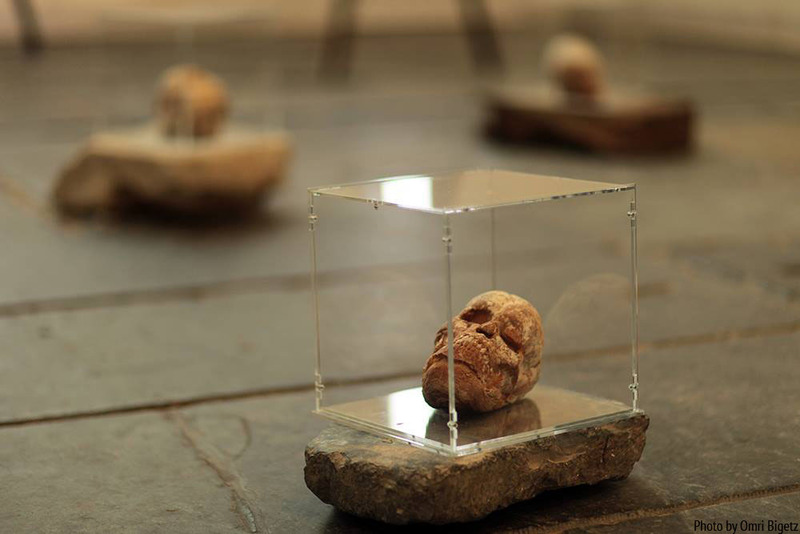 This work has been presented at the Oude Kerk in Amsterdam, Netherlands, from March 14 to April 6 2014.The floors of the church were completely covered of graves.